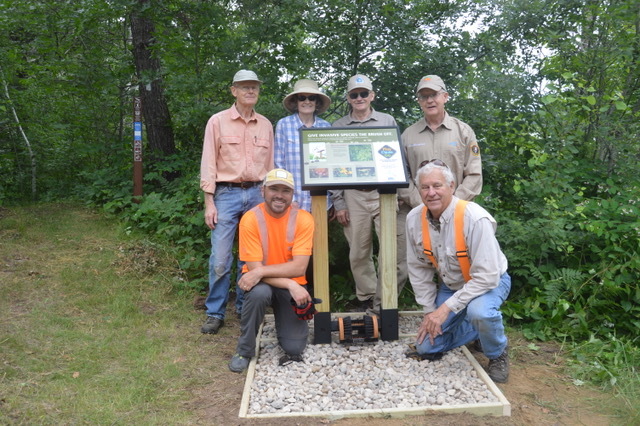 For nearly a decade, the Minnesota Department of Natural Resources (MNDNR) and Pannier have partnered together to better the recreational experience of Minnesotans and travelers alike by way of outdoor signage. 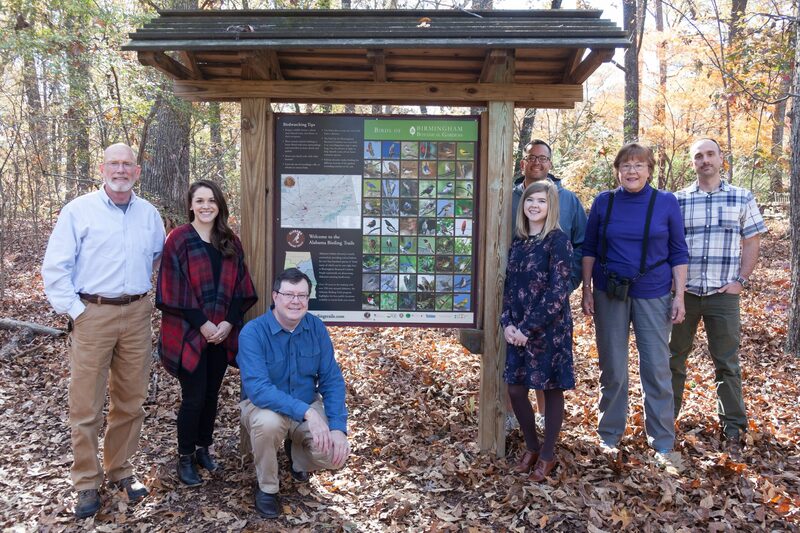 Most recently, the Division of Forestry worked with Pannier to produce 14 boot scrusher stations with interpretive panels as part of the”PlayCleanGo: Stop Invasive Species in Your Tracks” campaign. A plant, animal or microorganism that is foreign to any specific area is considered an invasive species. For Minnesota, those include Poison Hemlock and Wild Parsnip, both of which can be harmful to humans and neighboring native plants. 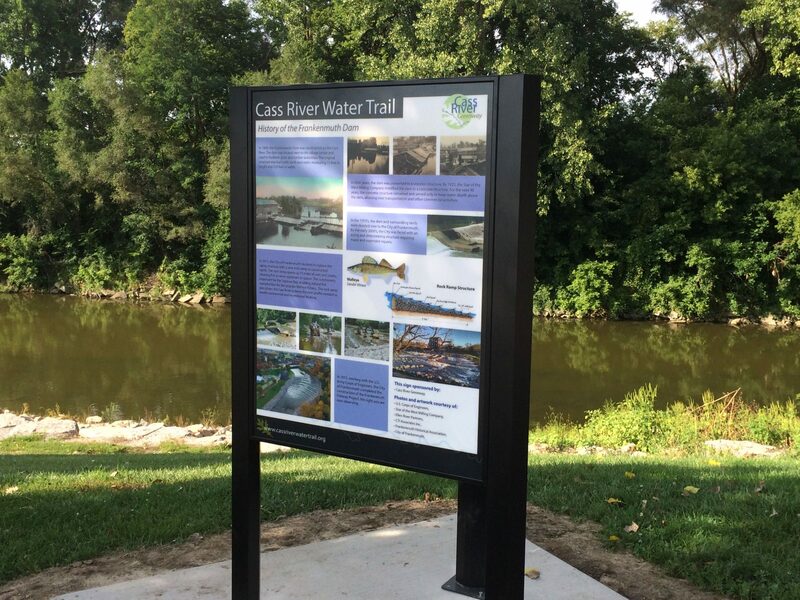 This information, along with photographs, is presented on the Fiberglass Embedded (FE) panels. Each educational sign also incorporates a drawing of how the boot scrushers should be used. 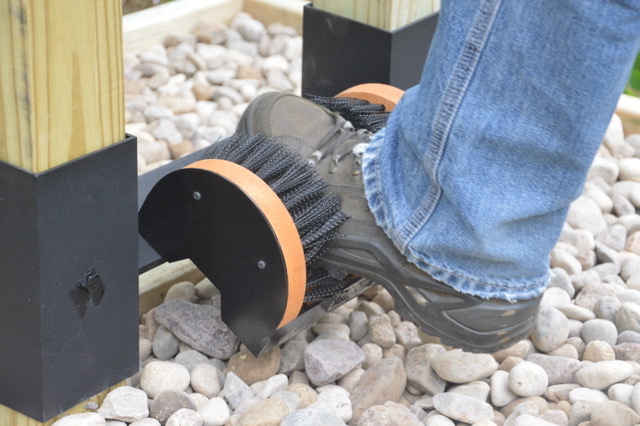 Since footwear can carry the seeds of invasive species, it’s imperative that they be brushed off before entering and when leaving at-risk areas. The units are placed along hiking trails on state forest lands including parts of the North Country Trail, the longest hiking trail in the United States. Susan Burks, Invasive Species Coordinator for the MNDNR Forestry Division, attributes the longevity of the relationship with Pannier to two simple factors. “I keep coming back because the product is great and Robin, our sales representative, is wonderful. The customer service is top notch”. If not controlled, invasive species have the potential to drastically change our landscape. PlayCleanGo, which is spearheaded by MNDNR, is working towards creating a new social norm of responsible recreation. This is demonstrated by the installation of the boot scrusher stations and interpretive signs. To join as a partner organization (it’s free!) and gain access to their library of outreach materials, visit www.playcleango.com and help spread the word.